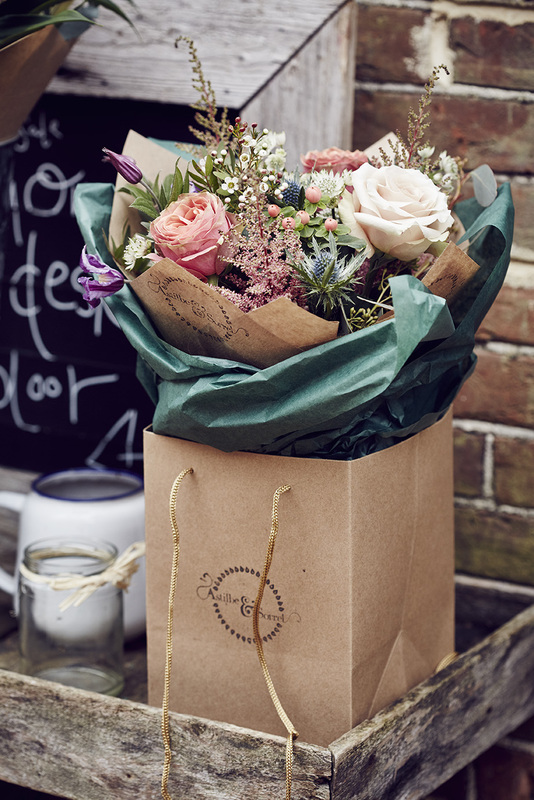 Astilbe & Sorrel posies & bouquets are created using a selection of flowers ranging from muted pastels to riots of colour, using the finest, hand selected roses & a wealth of other ingredients as if gathered from a meadow. All flowers are seasonal where possible to create beautiful, bespoke arrangements for any occasion. Dainty posy, preserved in water complete with milk bottle vase for display. Pacakaged in hand-stamped Kraft paper bag. The perfect lunch or dinner party gift. Seasonally selected flowers and foliages put together in the Astilbe & Sorrel signature style wrapped in paper and persevered in water. The larger style bouquet of seasonally selected flowers and foliages put together in the Astilbe & Sorrel signature style wrapped in paper and persevered in water.